Glenn R. Bartifay, Esquire, the principal of Bartifay Law Offices, P.C., has been helping Pennsylvania residents to manage debt and retain their homes during financial crisis through bankruptcy and mortgage modification since 1993. Attorney Bartifay also provides representation in real estate matters. Please call our offices at 412-824-4011 to arrange a free consultation to discuss how our services may assist you at one of our seven Pittsburgh area meeting offices in Monroeville, Murrysville, Downtown Pittsburgh, North Shore Pittsburgh, Greentree, Cranberry, and Southpointe. Murrysville School of Dance is a new dance studio owned by Murrysville native, Annamarie Grand. Our goal is to make dancing a fun experience for both beginners as well as seasoned dancers. We offer classes for all ages from 18 months and up, including ballet, tap, jazz, hip hop, contemporary, movement for color guard, and PiYo for dance. All levels of experience are welcome! Murrysville residents to participate in, along with members of the surrounding communities. We are committed to providing the most rewarding sports programs and social activities in the area. 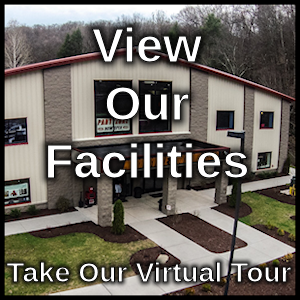 We are located off Route 22 in the heart of Murrysville, PA. The largely residential, suburban community is just 22 miles east of Pittsburgh. At SP+S, we offer the highest quality and most advanced sports chiropractic services anywhere. We are Pittsburgh’s premier resource for sports chiropractic, massage and rehabilitation. Our practice serves the needs of individuals in Plum, Monroeville, Greensburg, Washington Township, and most of the local community in Murrysville. As a practitioner devoted to natural treatments, SP+S offers innovative approaches to sports injury treatment and rehabilitation utilizing comprehensive evaluation techniques, conservative treatment and progressive rehabilitative exercises to get the athlete back to optimal performance as quickly as possible. What makes SP+S different from other chiropractors is that Dr. Zimmerman is the only chiropractor in Murrysville that holds the title Certified Chiropractic Sports Practitioner (CCSP). This exceptional post-graduate certification is uncommon for a chiropractic physician to attain and allows us at SP+S to offer patients unparalleled conservative injury management, whether it be a sports-related injury, an automobile or work accident, or simply a sore neck or back. With Dr. Zimmerman’s advanced Certified Chiropractic Sports Physician certification, sports injuries are her specialty. Placed in the center of the Murrysville Dek Hockey Arena, Dr. Z is the go-to physician for most types of sports injuries. SP+S offers convenient, patient friendly hours that include evenings and weekends. Additionally, there will be free parking and easy access to our office for the convenience of our patients. Our classes are designed to bring success at whatever fitness level you are currently, and inspire you to bring yourself to your personal best. We offer group training at an affordable pricing for those truly looking for change, as well as other fitness classes to compliment your fitness experience. We keep our classes fresh and interesting so that your body and mind doesn’t get bored! Our concept is built on a full body approach, seeing you as the individual that you are, and helping you to see the vision of where you can go. Pay by class or save with our 6 and 12 month memberships.